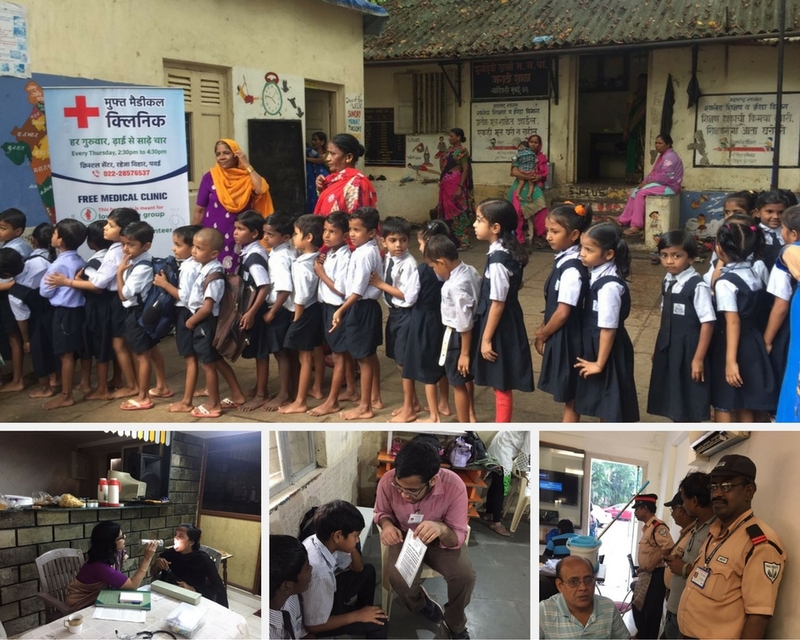 Sukrta Foundation strives to serve the less fortunate by providing basic medical care. All our medical clinics are totally free i.e. free consultancy and basic medicines. We run with the help of small and large donations from friends, family and well-wishers like you. Monies we receive as donations goes towards doctors’ fees, medicines, clinic administration etc. Sukrta’s management, while themselves being active donors, is committed to keep the administrative expenses to the minimum. You can contribute as little or as much as you desire. 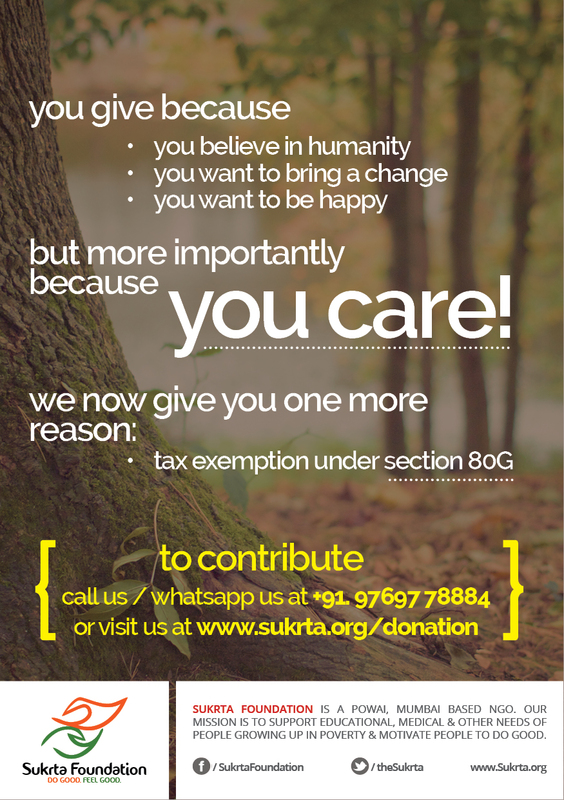 We strongly urge you to consider being a regular donor to Sukrta. You can contribute some amount every month or send us donation on events in your family say birthdays, anniversaries, etc. You can spread the word over social media or donate quietly and anonymously. In Powai, Mumbai, we have also distributed Sukrta Gullaks (Piggy Banks), where donors as young as 5 year old give their savings regularly to us. Nothing like inculcating habit of kindness, early in our kids. Please refer to Terms & Conditions before making a Donation. vi) Complete the details and submit. Thereafter you can follow self guiding Menu and complete the process of donation. If you are not comfortable with electronic money transfer or have any more questions about donation, please text us at 97697 78884, we will make it easy for you.